Kevin focuses his practice in several different areas of the law including criminal law, family law and property law. Prior to joining Creighton, McLean and Shea PLC, Kevin interned for the Honorable Sean F. Cox in the Eastern District of the United States District Court. While working for Judge Cox, Kevin learned the level of preparation required to effectively represent clients in all areas of the law and he has taken those skills with him in his newly developing practice. Kevin graduated from Michigan State University in May of 2013 with a Bachelor's Degree in Criminal Justice. 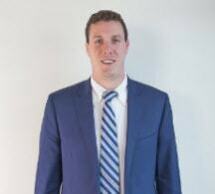 Immediately upon graduating from Michigan State University, Kevin began attending the University of Detroit Mercy Law School where he was a Senior Member of the Moot Court and graduated with honors in May of 2016. He is also currently a member of the Detroit Metropolitan Bar Association. Kevin grew up in Livonia and is happy to now be helping citizens of the area in any way that he can. In his spare time Kevin enjoys playing golf, hockey, remaining active in the community, as well as spending time with his family and friends.